The Katar Heavy Cruiser is a common sight in inner system and fleet defense. It carries numerous heavy torpedoes and enahnced armor and defensive systems. 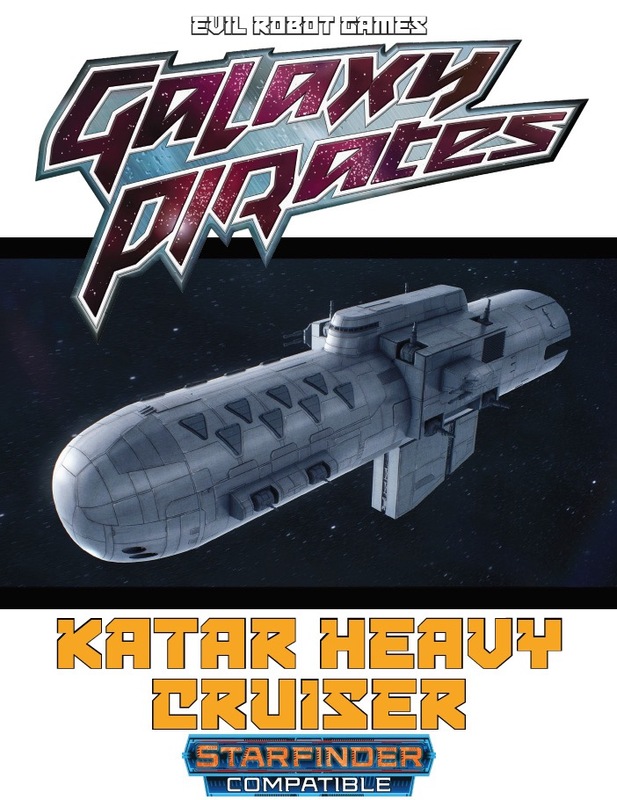 The Katar Heavy Cruiser: a Tier 7 vessel, includes a full primary stat block with crew skills. and predetermined Scan Results. 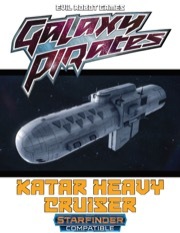 Sign in to start a discussion about Galaxy Pirates - Starships: Katar Heavy Cruiser PDF!